Michael Cook has been an ordinand of the Church of England and a full-time youth leader, and taught Religious and Social Education in secondary modern, comprehensive and grammar schools for almost thirty years. His many interests include sport, theology, geology, philately and preserved steam railways. He is a published author, photographer and songwriter. This is a collection of his best-liked 100 poems, selected by family, friends, acquaintances, former colleagues and pupils past and present, as well as members of the public. 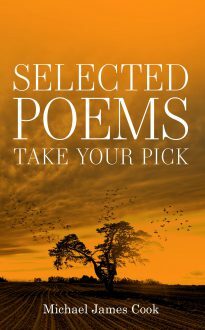 Some of the poems are new, while others have been published previously in magazines, newspapers and anthologies.